Question: What is the one thing that even the gods fear? 12:45pm: Gigi and I were getting ready to go for a walk when I went out to the garage and noticed a mouse, clinging to the automatic garage door that rolls up into the top of the garage. At first I thought it was just climbing, but when I got closer saw that it was actually caught, its left arm crushed between the folding panels of the garage door. It must have gotten caught the night before, when we came back from dinner. I was able to free the mouse from the door, but its arm was completely useless. It squeaked a couple of times when I lowered it to the ground and it tried to hobble off slowly towards some leaves, but I didn’t think that it would live long and it was obviously suffering. A rain-storm was coming this afternoon and I couldn’t bear the thought of it going through its last hours in the downpour. Gigi and I talked about it. I couldn’t stand seeing it suffer, and thought about putting it out of its misery quickly, with a hoe or a shovel, but Gigi thought that would be cruel and suggested drowning it — which from what I’ve heard is an unpleasant way to die and seemed even more cruel. As I speak, we have put the mouse on a rag-blanket, in a small cardboard box, with some bits of cheese nearby for him to nibble on. But I am still at a loss. Are we doing the mouse any favors by giving it food, which could only serve to prolong its life and therefore its suffering? Which is the greater kindness? somehow take it to a vet and then nurse it back to health, minus one arm, and keep it warm and safe and fed in a cage with water and cheese and peanut butter. What would the mouse want? 3:00pm, same day: The mouse was still alive as of two hours ago. At that time I put the box with the mouse in it in the garage. I started the engine of our car, left the engine running, then closed the garage door. Carbon Monoxide is supposed to make you fall asleep, and then never wake up. A half hour later I came back out and turned off the engine, but left the door closed with all the exhaust in it. Will check on the mouse later. 4:06pm, same day: The mouse is still alive. When I opened the door and looked in the box, he stirred. Oh God, little mouse, why do you cling to your life so fiercely? Feeling remorse. He was already victimized once by the modern machinery of civilization, and now here I’ve gone and subjected him to toxic fumes, and yet he still lives. I was trying to be merciful, but was too stupid to have read about how modern automobiles, with their catalytic converters, produce almost no Carbon Monoxide anymore. So all I succeeded in doing was the make the air around him a bit more unpleasant. I let the air clear out, closed the garage door, and went back inside. Tried without success to not think about him, the rest of the evening. Sunny, cool 52 degrees. Sunny all day. Eating oatmeal for breakfast. Have not gone out yet to check on the little mouse. We have done our best to keep him comfortable. The rain fell hard last night and I consoled myself that at least he was in a warm dry place. I don’t want him to suffer. How is it possible that such a tiny little thing could bring my entire world to a standstill? 10:06am, same day: I went out to the garage after breakfast. The mouse must have passed away some time during the night. His eyes were closed and he appeared to be at peace. I said a few buddhist prayers for the repose of his life, wishing him all the best for the next, and thanking him for this lesson in life. In this world, we all die alone. 11:00am, same day: I took the mouse, still on his rag blanket in the box, down to the river in the forest next to the farm. I found a sunny spot near where the water cascades over the rocks. A peaceful place. 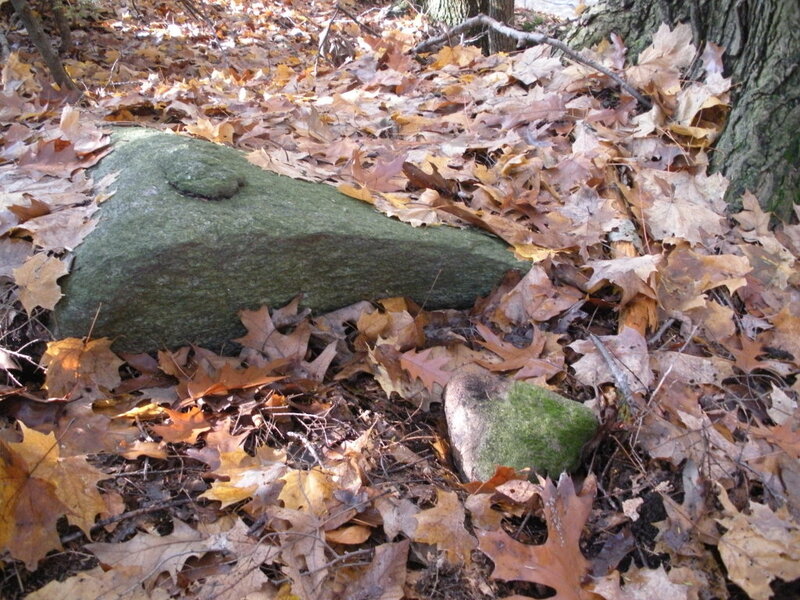 I buried him near an oak tree by the cascade and put a rock marker on the grave. And so, life goes on. And Fall turns to Winter, which never fails to turn into Spring. But this little mouse: he will be remembered.